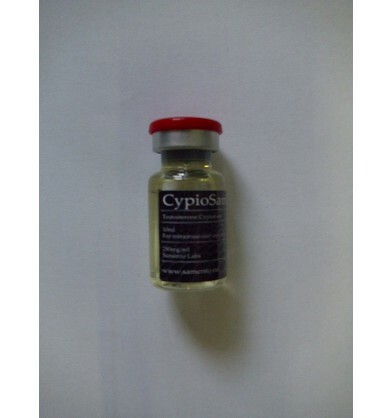 Cypionate for intramuscular Injection, contains testosterone cypionate which is the oil-soluble 17 (beta)-cyclopentylpropionate ester of the androgenic hormone testosterone. Testosterone Cypionate has an exceptional anabolic/androgenic ratio of 100:100 and has an active life and detection time of 15-16 days and 3 months, respectively. The recommended dose of Testosterone Cypionate is 300-2000 mg per week for men and these doses can be taken with or without meals. However, use of Testosterone Cypionate should not be made for a period exceeding 6-8 weeks at a stretch so that the body does not get immune to its action mechanism and benefits. It is important to note here that this testosterone derivative is not recommended to women, unless otherwise recommended by a qualified medical practitioner.